Driver Easy Free Download 5.6.0 Latest Version For Windows OS (XP-7-8-10). Get the standalone offline installer setup file of Driver Easy with a single, direct and secure download link. The downloaded setup file is compatible with both Windows 32 and 64-bit versions. 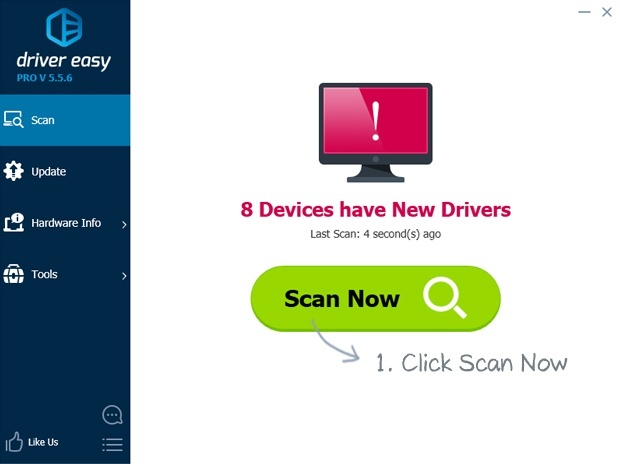 Driver Easy lets you update all your missing drivers with just 1 click! Driver Easy for PC is a handy tool that searches for and downloads the latest and updated versions of your drivers! Who has not needed more than once to download an Internet driver to configure a specific device? Who has not needed to update the drivers of some hardware on the computer? Are not you tired of having to search the Internet for the correct and most suitable drivers to download? Do you need to download a reliable and complete driver search engine? Well, to make your life easier, you have to download Driver Easy free and fast. You may also like Driver Booster 5. Manually searching for drivers is a time-consuming process, and sometimes you won't be able to find what you're looking for. 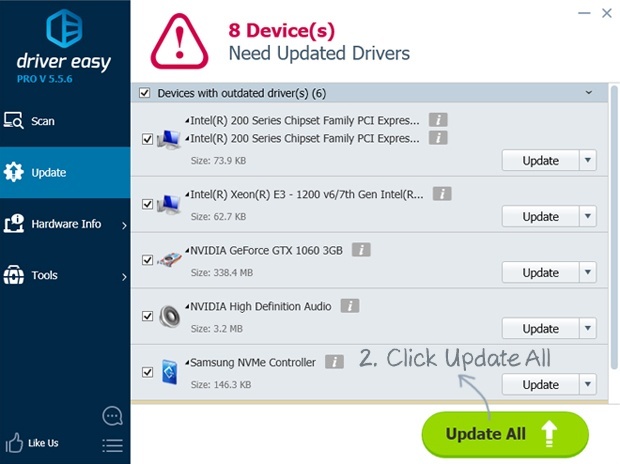 DriverEasy changes all that where it scans your PC, tells you which drivers are outdated or missing then it updates them automatically with just one click! Click Update All button, and all drivers will be downloaded and installed automatically. Driver Easy is a fantastic driver search engine, which has a huge database of definitions and information of all kinds of drivers. The best part is its easy operation: simply run and start checking your computer, detecting those devices that you have installed (network cards, webcams, PCI cards, printers, scanners, etc.). You may also like Ashampoo Driver Updater. If any of the existing drivers on your computer need to be updated, the software automatically starts the download of the corresponding driver to install it. Or, if you prefer, you can let Driver Easy take care of that too, this is done by its "Smart Auto-Installation" feature, Driver Easy will take care of the entire process of downloading, extracting, analyzing and installing the driver you need, you just have to click once or twice for the permissions. In addition, when you download Driver Easy (or Driver Easy for PC) you will find a lot of features and advantages already integrated into its user interface. Automatic detection of devices with an unknown driver, or not suitable for use. A database with more than 8 million hardware drivers. It fixes missing, outdated or mismatched drivers. Update the frequently used drivers automatically. It improves computer performance and stability. Backup options, restore and uninstall drivers. Easy to use, just click "Scan"
It has a visual interface that's very easy to use and translated into several languages, (although only in the paid version of Driver Easy, not in the free version that we offer to download which is unfortunately only available in English). You can download Driver Easy for free, as long as it is used for non-commercial purposes (not to be confused with EasyDrivers, which is another one). Driver Easy is a free tool, which can be very practical for updating your computer's drivers. There are many other tools, but they're paid, which are much more complete and apart from updating the drivers of our PC's, they also provide extra features that are of great interest. NOTE: For the proper operation of this driver finder it is necessary to install Microsoft .NET Framework 2.0 or higher on your computer. 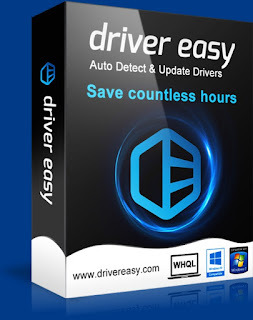 Software Name: Driver Easy Free Download. Click on the button below in order to download the standalone offline setup file of Driver Easy for PC both 32-bit and 64-bit OS.